The Dosing by Drug Report is accessed from the Report menu with a search form used to filter by search criteria. 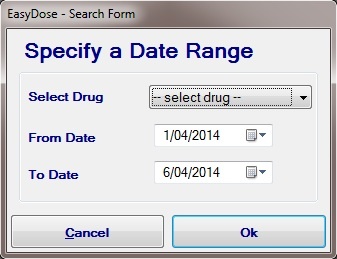 The Select Drug drop down can be set to all drugs or a particular drug and searched by date criteria. 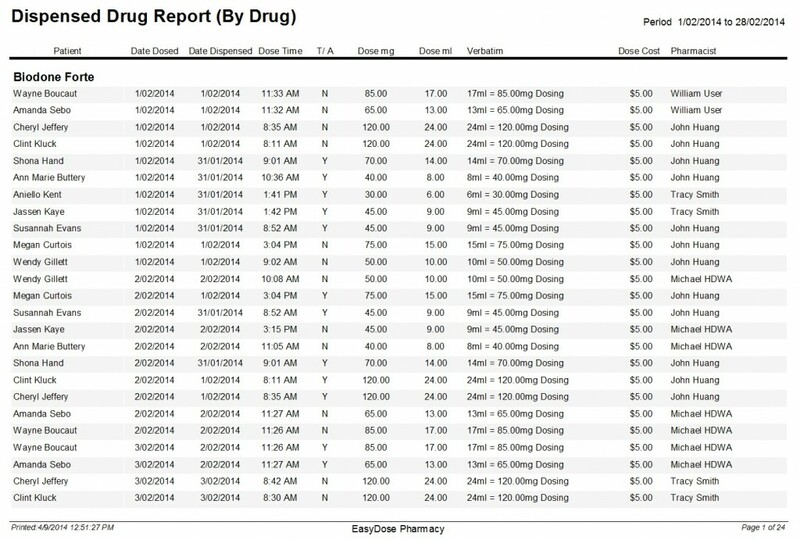 Click OK and the report will show grouping by drug and date. Note: The names for patients, pharmacists, doctors and the pharmacy are all fictitious. No real details exist in any report or form on this website.